Takiyah participated in basketball and track and field at Lakeside in Seattle during her first three years of high school. Prior to her senior year, Takiyah transferred to Franklin High School. A 6-foot forward, she helped the Lions to an 86-1 record during her three-year span and two Class AA State Titles. A clutch performer, Takiyah hit the game-winning shot in the State Title game during her freshman campaign. She averaged nearly 18 points, nine rebounds and four steals as a junior to lead Lakeside High to a 29-0 record and another AA State Title. She was the Class AA State triple jump runner-up and took fourth at State in the 100-meter hurdles as a junior. As a senior at Franklin, she averaged 22.2 points, 12 rebounds, three assists and three steals per game on the basketball court, gaining first-team all-American honors and another appearance at the State Final. Takiyah finished her prep career with 2,024 points, 950 rebounds and 465 steals. She was named to the Star Times team (1994, 1995) and awarded the Seattle Times City Female Prep Athlete of the Year (1994). 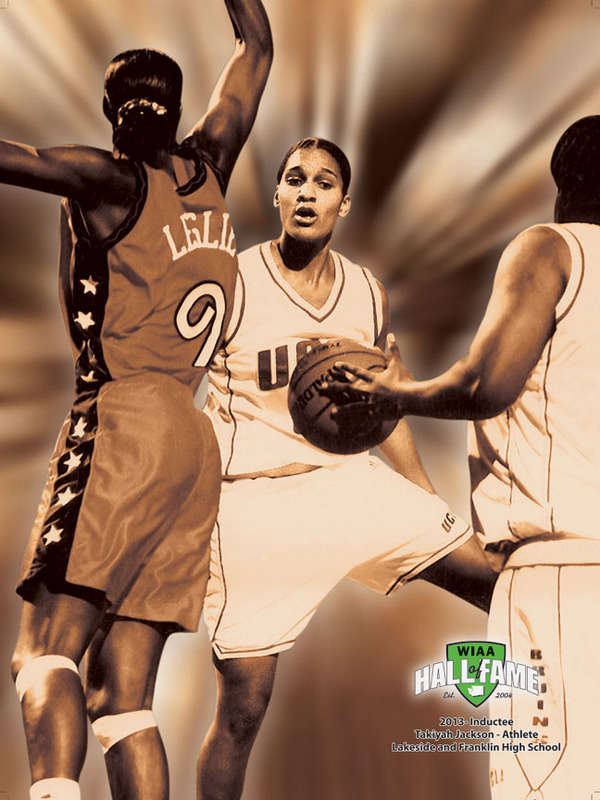 Street & Smith magazine selected her to its Fifth-Team All-America squad (1993). A standout in the classroom, Takiyah achieved a 3.5 GPA, which made her one of the top recruits in the country. The Seattle native signed with UCLA, but tore her ACL in a summer league game in 1995 and had to have reconstructive surgery that summer. After a redshirt season, Takiyah competed at UCLA during her remaining four years despite another ACL tear. Despite the setbacks, Takiyah surged forward and changed her game and became a leader on the Bruins squads. She finished her senior season with 26 game appearances and 94 points.